Cancun is one of those destinations that typifies luxury holidays. With its famous nightlife, turquoise water, white sand, and the myriad of world-class resorts it is no wonder than the area’s Zona Hotelera is frequented by millions of tourists each year. Thanks to the first-rate amenities and range of fun activities, Cancun is perfect for children, and should be near the top of anyone’s list. 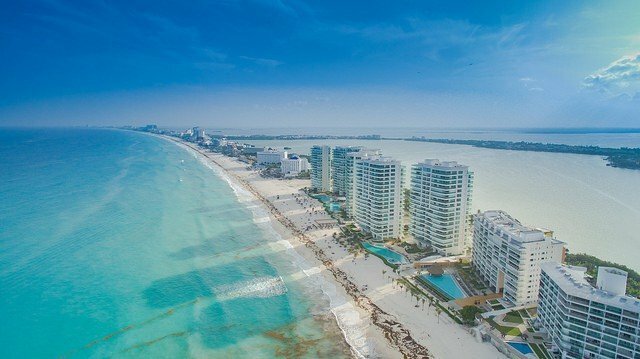 To help convince you to whisk the family to the Yucatan Peninsula here are some reasons why you should opt for Cancun for your next big family break. 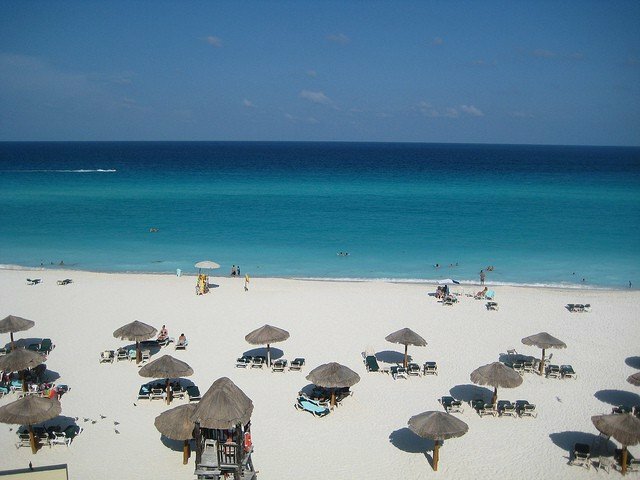 The pull of the beach is one of the main reasons many of us go on holiday, and Cancun has one of the world’s finest. The entire Zona Hotelera peninsula is lined with a perfect white sandy beach. Combine the sand, the cerulean blue waters and its proximity to most of the hotels, and you have a tourist Mecca. With calm, warm waters and endless sunshine your kids will love it, and with so many resorts right on the beach, you won’t have to travel far. While relaxing and having fun on the beach is all well and good, it’s the Yucatan’s wildlife and natural beauty that makes it a must-see destination. While your little ones might not necessarily be as fascinated by the area’s ancient ruins as you, they are sure to be fascinated by the area’s wildlife. Whether swimming with sea turtles and dolphins, snorkelling around the coral reefs, visiting the bird sanctuary on Isla Contoy or seeing whale sharks by boat, Cancun’s wildlife is sure to help inflame a lifetime love of nature. Nowhere in the world has such amazing geology as the Yucatan. And nowhere is this more obvious than in the area’s famous cenotes. These amazing and vividly coloured natural swimming pools are unique places for a swim, and many tour operators offer tours among the most famous. These natural wonders offer an experience you and your children won’t forget in a hurry. There are few cuisine’s that excite kids like Mexican cuisine. With delicious local ingredients, you little ones will have never had as tasty tacos, enchiladas, or quesadillas as they will in Cancun. The area is also rich in some of the freshest seafood you’ll find in the Caribbean. Cancun is also home to water parks perfect for tiring out excitable kids. Some of the best include Sea Adventure Water Park and Wet n’ Wild Cancun, the latter being right in the heart of the hotel zone. Each includes a range of rides and activities that should keep children of all ages happy, as well as enough loungers for the grown ups! There are few better places for a family holiday than Cancun, so what are you waiting for? Images by f. Ermert and Ricardo Diaz, used under Creative Commons license.